Since your roof is a very important element of your home’s structure, you want to be sure that you take care of it properly. The right roof can also add a beautiful aesthetic to your home. When it comes time to replace your roof, too many people mistakenly believe that all roof replacement work is the same. Unfortunately, this is not true. You don’t want end up with inferior workmanship as this will increase your need for frequent repairs and premature replacement. Let our team of professional roofers serve your roofing needs. We offer a broad range of materials, colors, and styles to fit your roofing needs. Asphalt shingles are the most popular and most common type of residential roof material. Asphalt shingles are cost effective and durable. 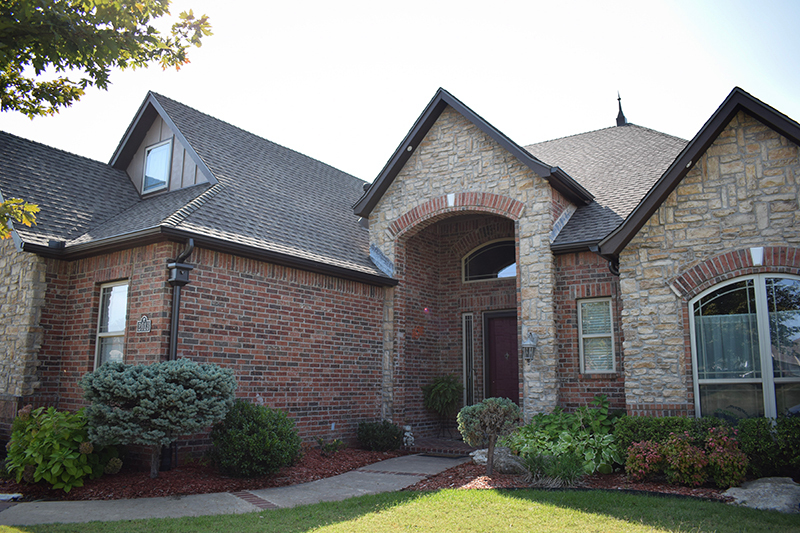 DECRA roofing adds a unique elegance to any home. DECRA Tile has been an ideal alternative to traditional tile products for over 50 years. They are durable and lightweight and require little to no maintenance. Metal roofing is more costly upfront, but you get longevity in return. They are energy efficient as the metal reflects heat and blocks its transfer into the attic. With a 50 year lifespan, it is no wonder more people are turning to metal for their residential or commercial roofing. Homeowners switching to metal roofing reported saving up to 20 percent on their energy bills. Slate roofing offers a very natural look and can be laid out in a variety of patterns.The benefits of slate are identical to those of tile: a very long lifespan, good fire protection, low maintenance, and not vulnerable to rot and insects. Wood roofing is very natural and adds a lot of character. Wood offers some energy benefits as well by helping to insulate the attic. A wood roof allows the house to breathe by circulating air through the small openings under the felt rows on which wooden shingles are laid.